Enhance learning today, and prepare students for success tomorrow. The shifts articulated by the Common Core State Standards increase accountability for learning outcmoes in the classroom and in the technology rich world beyond. 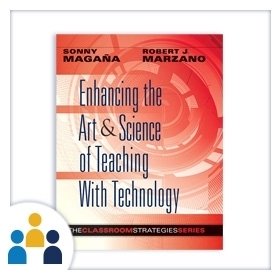 This interactive workshop shows how to integrate technology into the research-based strategies from The Art and Science of Teaching to enhance instruction while preparing students for college and career success in the 21st century.